School being in session doesn’t mean that your family fun has to come to an end! A place such as Klyde Warren Park in downtown Dallas, TX is a great place to unwind and have some fun on a warm Saturday afternoon. Kids are often drawn to the cool fountain splash pad, but before you let yours jump in, remember a common problem that often affects young ones – plantar warts. 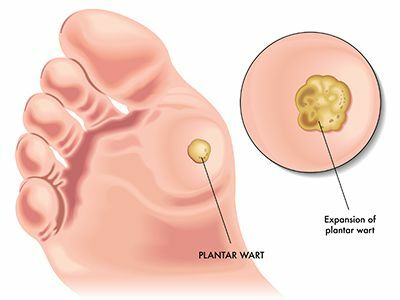 Parents don’t usually think of this foot problem until their child gets a plantar wart. Prevention then often comes into play once people realize how difficult they can be to treat. They appear on the bottom of feet and are caused by the human papillomavirus(HPV). This type of virus typically thrives in areas that are warm and damp, and children pick it up by walking on a surface that someone else with the virus has stepped on. Public pool areas, showers and locker rooms are popular places children visit that can expose them to a wart virus. A tiny cut or scratch in the skin can make a child even more susceptible to developing a wart. Once the virus has entered the skin, it can take a while to appear but once it does, it can be resistant to treatment and difficult to get rid of. It can be hard to prevent warts, but there are some easy things parents can do to try to protect their children. Anytime you would be visiting an area such as the ones listed above that are notorious breeding grounds for bacteria, have your children wear flip-flops or waterproof sandals as a barrier on their feet. Checking your children’s feet regularly, as well as early treatment, gives you a jumpstart on getting rid of this pesky and sometimes painful foot problem. If your child has already developed a bump on the bottom of their foot, we have the treatment they need. Drs. Joel Brook and David Northcutt, podiatrists at Dallas Podiatry Works, know exactly how to attack this common problem and get rid of it for good. We have two locations to serve your family – make an appointment by calling us in Dallas, TX at (972) 566-7474 or in Plano, TX at (972) 943-3323.